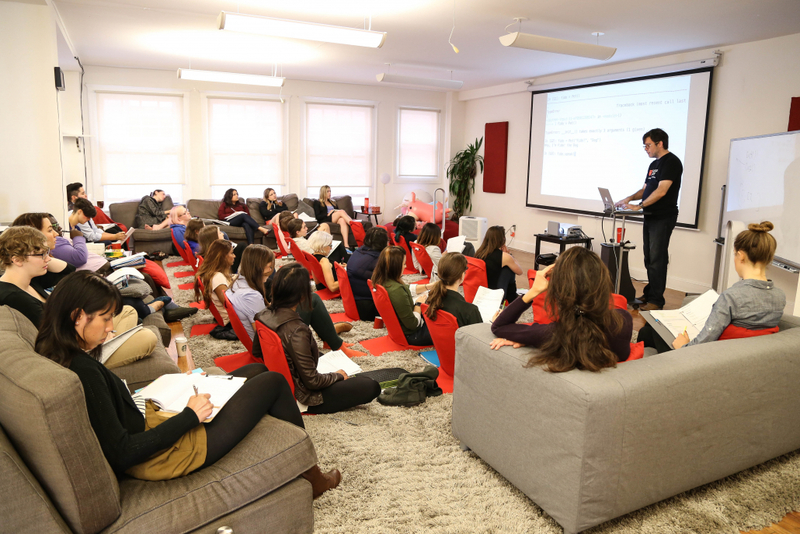 Experience Hackbright in Person with our New Campus Tours! Have you been thinking about a career change as a Software Engineer, and looking around for the right school? If Hackbright has been on your mind, then come by to experience our program and see if it’s the right fit for you! We’re excited to announce our campus tours, starting this week! Come visit the Hackbright campus and check out our classrooms, meet some of the staff and experience our location right in the heart of San Francisco! Register for your own 30-minute tour (with the option to even sit in on a class!) HERE! Ready to dive in? Be sure to register for our upcoming Fellowship Courses on Aug. 4 and Sept. 13. You’ll make the career change in a supportive, encouraging community optimized to help women not only get into the industry, but thrive in a career afterwards. RSVP here for your campus tour! Hope to see you around the campus!